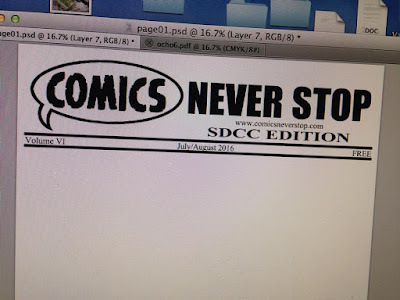 Comics Never Stop Returns this Friday at First Friday in Phoenix. I heard that there were some imitators out there. I heard that this project still had legs. These are things I have known. Why do you think I came up with the project in the first place? The next paper will be out February 18th, 2017! A little over a year ago I started to actively work on the newspaper. 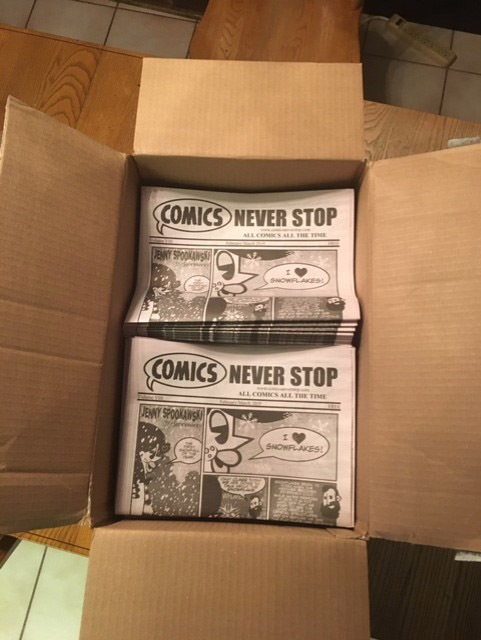 My goal was to get my comics and the comics of my friends into the hands of people who liked comics, but maybe never frequented a comic stop or convention. I decided to distribute the papers through coffee shops across the valley and at public events like First Fridays in Phoenix or Second Fridays in Mesa. Over the year there have been a lot of ups and downs. I really proud of what we have accomplished, but I really do not think the other creators embraced the newspaper the way I have. With this being said I have decide to put the paper on hiatus. I do not think it will ever be published again, but I will not say never. Thanx to all those who supported the paper over the last year. Thanx to all those kind words that were said about the paper. Without that support and those words I do not think the paper would have made it past volume 3. And to all of the readers, we handed out close to 10,000 papers over the year, Thank You for reading! So I just finished prepping the SDCC Edition for print and I have to say that Arizona has some of the BEST Independent Comic Creators. This paper looks Excellent! I cannot wait to hand it out in the streets of the Gaslamp District before and after the Sand Diego Comic Con each day during the con. Volume 5 Delivery this Weekend. 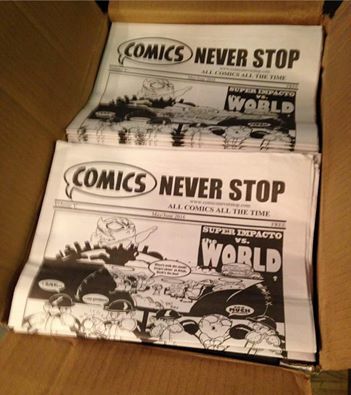 We will be delivering Volume 5 of the Comics Never Stop newspaper around town this weekend. And we will be attending the First Friday event in Phoenix next weekend. Also some changes are planned for this here website in the near future. 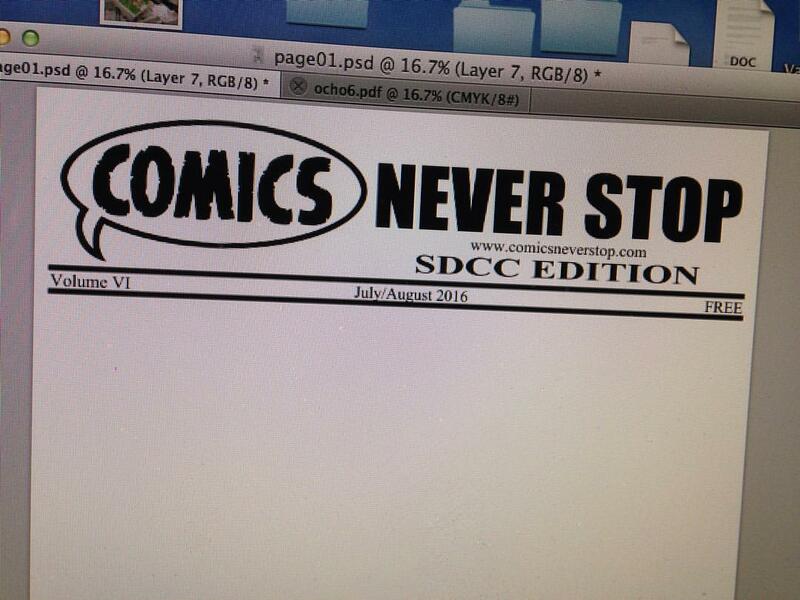 Things are morphing a little here at Comics Never Stop and it is GOOD!